Please note that the proceedings of DEA40 has been published and can be cited as follows. To download the full proceedings pease CLICK HERE. 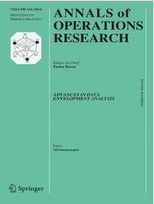 Emrouznejad, A. and E. Thanassoulis (2018), Data Envelopment Analysis and Performance Measurement: Recent Developments: Proceedings of the DEA40: International Conference of Data Envelopment Analysis, April 2018, Aston Business School, Birmingham, UK, ISBN: 978 1 85449 438 2. © 2017 International Conference on DEA.